For many years now, fans of the cult classic game Pokémon have only dreamed of bringing the Pokémon world into the real world. Finally, with the advent of modern smartphones, augmented reality, and a bit of clever app development it has become a reality - in Pokémon Go. But is Pokémon Go really all it's cracked up to be? 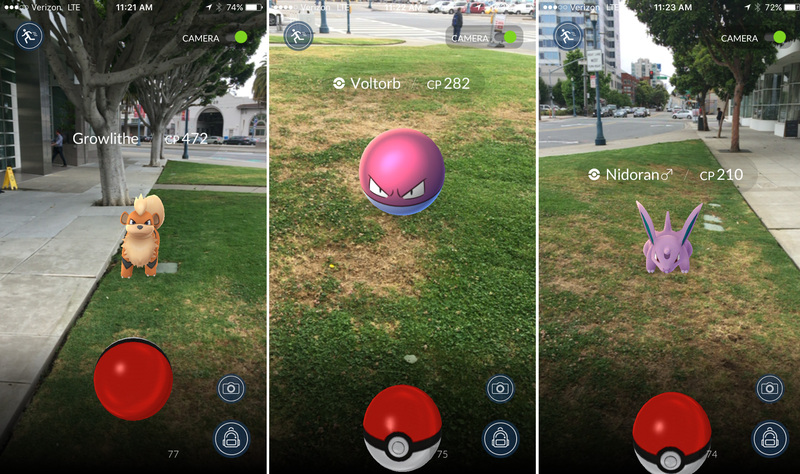 Pokémon Go sits in a unique place in the market, combining relatively novel technology with a franchise that is worth billions of dollars. Few companies have had the opportunity to develop services for franchises of this magnitude, so it's easy to see how Pokémon Go could be a potential goldmine for both the developers and Nintendo. You start the app in a way that brings back the nostalgia of the classic games, with creating your character. Pokémon Go brings a new layer of customisation to the field that goes far beyond the "male or female" and "name your character" of the classic titles, letting you choose hair styles and more. From there you drop into the world, ready to catch all the Pokémon you can find. But the similarities end pretty quickly, instead of playing in a fictional world, starting in a fictional town, your character is dropped onto a map of the real world. With the aid of GPS you can explore the world around you, catching Pokémon on your way to work or when sitting in your back garden. Just like the classic titles you choose from one of the generation 1 starter Pokémon (Charmander, Bulbasaur, or Squirtle) although it is possible to choose a fourth Pokémon instead if you know how! From there you explore, catching Pokémon with the flick of your finger using those iconic Pokéballs whilst the Pokémon are superimposed onto the real world using your smartphone's camera and augmented reality. Of course you need to acquire Pokéballs first, which can be done either through purchasing them (with real money) or finding them in the world at iconic locations around you. It's easy to see how this game can be monetised. From Pokéballs to special items that lure Pokémon in (removing the need for you to go and actually find the critters in the real world) almost every aspect of the game has been included in the free-to-play monetisation model. And it's astoundingly popular. Following the release in the USA on July 7th the developers of the game have gone as far as to halt the worldwide release due to the sheer volume of players trying to play. Unfortunately, however, server issues appear to be only one of the problems with Pokémon Go. Here in the UK its difficult to get a feel for the game properly as we're still waiting for its release, with rumours indicating that we may not even have the game a week after the official release date. But from what I've seen in gameplay videos, and read online, I think that when it finally is released I'll be sorely disappointed. Don't get me wrong, I've been a fan of the Pokémon games since the mid 90's, and have clocked in well over 1500 hours in the games over the last 20 or so years. From the hype Pokémon Go recieved I simply don't think that the game we've been presented with at launch lives up to my expectations. To begin with, Pokémon Go seems to capture the essence of Pokémon in only about half of what made Pokémon a hit. Yes, you get to explore the world and catch Pokémon, but only a portion of the full Pokémon roster is in the game. Now obviously these character models take time to create, but they're of relatively low poly count (quality) so really shouldn't have taken that long to put in the game. And it's not just the lack of Pokémon that worries me. The levelling and battle systems in Pokémon Go seems far removed from their classical counterparts. 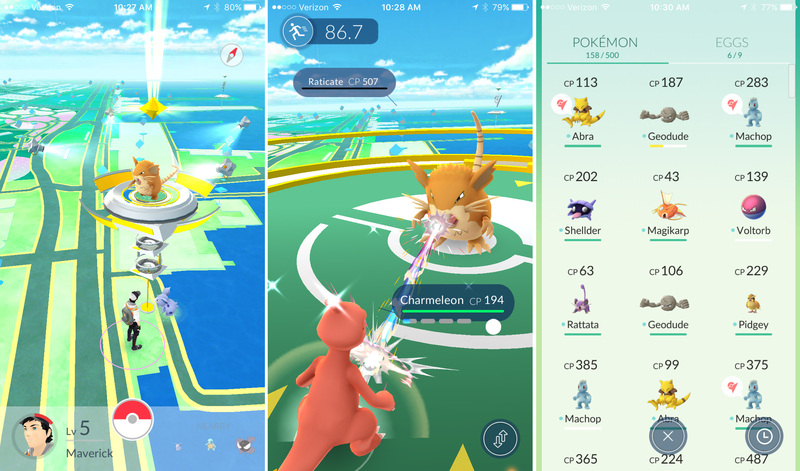 Pokémon Go offers no real move-based battling, theres no need for the tactical learning of specific moves, nor is there any need to decide on a strategy for battling - its simply tap or swipe. And thats not the only mechanic of Pokémon Go that I think will severely reduce replayability. The levelling system as it stands right now is effectively pointless. In the classical games, if you caught a Pokémon it would generally always be at a certain (often low) level. Sometimes there were places further in the game that would give you slightly higher levelled Pokémon but those instances were fairly rare. In Pokémon Go, however, the level of the Pokémon you catch is based on the level of your character, meaning that one day you can catch a CP (combat point) 32 Drowzee and a few days later catch a CP 78 Drowzee - putely because your character level has increased. This effectively entirely removes the need to "level" your Pokémon, instead making it more economical (in terms of time) to just recatch Pokémon when you've got a higher trainer level. And on the subject of catching Pokémon, whilst the Pokéball throwing skill aspect is a good addition, Pokémon games of the past have taught us that catching a Pokémon that's on full health is pretty difficult, especially at higher levels. The lack of any kind of pre-catch battle really reduces the fun of it all for me, often leading to a situation where someone with more Pokéballs (and ergo more real-life money) has a better chance of catching that high level Pokémon than me. But I think perhaps the greatest flaw of Pokémon Go has been its release. Many games that offer online play have teething issues on launch and these days it is something we have come to expect. But for a game that is effectively online only, server issues are significantly more inconvenient. The near constant downtime and instability of Pokémon Go since its launch seems to show that the developers of the game simply aren't competent. Why was there not more servers available? And why has the situation not improved over the last few days? To me, the current state of Pokémon Go and its service screams of a rush job. The developers obviously wanted to get Pokémon Go out to market as quickly as possible, to bring in as much money as possible, and I don't blame them for wanting to do that. But I think if they'd waited a month or two, ironed out the bugs, added more content, more mechanics, and maybe held a large scale public beta to stress test their infrastructure, the game would have been far better on release. No doubt when it's finally released in the UK I'll play it, but I can't help but feel that the events of the last few days have left a bad taste in my mouth. In the meantime I think I'll just got play some of the classic games some more.